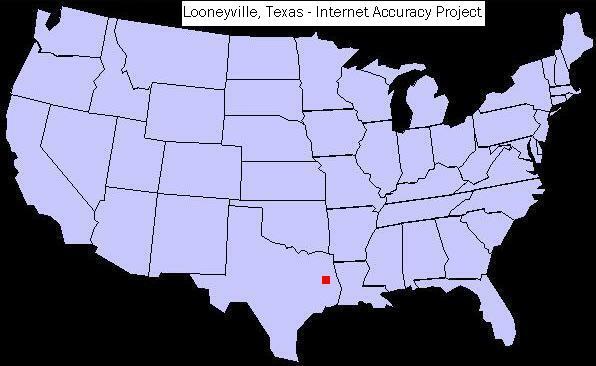 Looneyville, Texas is located in northwestern Nacogdoches County, in the eastern part of the Lone Star State. The tiny farming community was named after local businessman John Looney. Mr. Looney established a store in the area back in the early 1870s. A post office opened a short time thereafter, followed by sawmills, a cotton gin, a gristmill, livery stable, a church and a school. The population of Looneyville reached its peak (about 100 residents) shortly before 1900, before steadily declining following World War I. The local economy has gradually shifted from the logging and lumbering interests of the late-1800s, to farming. Time Zone: Looneyville, Texas is in the Central Time Zone. Camping, fishing, hunting, picnicking, boating, canoeing, kayaking, rafting, swimming, horseback riding, hiking, birding, wildlife viewing, photography and water-skiing. Deer, squirrel, turkey, quail, dove, woodcock, and the woodpecker, all call the bottomland hardwood forests and lush piney woods of East Texas home. Over the years, anglers have found trophy largemouth bass at Sam Rayburn Lake, which has hosted many top fishing tournaments.